The financial industry is generally male-dominated. But this woman is taking up the challenge to level the playing field for aspiring female investors. In this episode of Bid and Ask, we have the pleasure of interviewing a successful lady in the tech-finance scene in Singapore, Anna Haotanto. Anna is the CEO of The New Savvy, a finance, investment, and career platform created by women, for women. The New Savvy positions themselves as Asia’s leading investments, career, and financial platform for women. They deliver high quality content through media conferences and education platforms. Anna mentions that there are already very good financial blogs and websites. So, instead of just writing articles, they want to do more. “What we want is to actually move the needle. Getting somebody who has not even thought of her finances and moving her along the spectrum of mastering her own finance management." Embarking on a new career and receiving your first paycheck are major milestones in your life. Anna shared that over the course of her working years, she had been hospitalized for several times. Insurance comes in handy in such situations, and prevents you from having to dip into your investments too. Plus, she mentioned that the younger you are, the cheaper insurance is. So get insured early. Most people tend to have career goals like “I want to be a vice president by thirty”. Or they could have life goals such as “I want to get married and have three kids before thirty five”. However, few people would say, “I want to save say $200,000 by the time I'm 35”. Anna encourages you to be one of those few people. Once you have the goal in mind, you should work out a clear plan on how you'd reach there, and what are some of the steps you should take. This will help make your spending and investing decisions way easier. At 21 years old, Anna's financial goal was to buy a house for her family. She learnt that it would cost her about SGD$500,000 for a 3/4 bedroom HDB. It was not a small sum. So she created a spreadsheet spanning nine years with the aim of buying the house before she reach 30. She did scenario testing and stress testing. And constantly asked herself questions like “what if I get 6% or what if I get 10%”. Her calculations made her realize that you actually have very little time. If one is not clear, it would be very difficult to attain big financial goals because of the sheer amount you'd need to save. So start early and make the right decisions from the start. In today's fast paced society, everybody craves and expects instant gratification. Hence, people focus on they can receive the next day rather than over the long term. Anna has also noticed this trend. And explains that many young adults tend to overindulge when they receive their first paycheck. That's when they start to worry about their finances. And honestly, it is a little too late. Start by defining your financial goal. Although it sounds very basic, having a financial goal is very important because it gives you something to work for. And it makes all subsequent money decisions way easier. For example, it's a clear decision between buying the next branded bag or watch and saving up for your financial goal. Another thing that Anna suggests is to have somebody to work on it with you. The peer is there to give some encouragement or even pressure to remind you of your goal. She compares it to the goal of losing weight. If you have a target weight, you have something to work towards and you become more motivated to reach it. Mistakes are unavoidable. We believe that we get to learn more about other people's mistakes as compared to their successes. So we asked Anna to share any memorable financial mistakes that she had made. Anna’s answer: investing in something speculative. She shared how she started investing when she was 21. Over time, she grew complacent as she got overloaded with work. This made her vulnerable to speculations in the stock market. A friend of hers told her about a stock that manufactures the fiberglass for iPhone. He shared that the company was going to announce that they will have a new contract with Apple. And that the price would likely shoot up thereafter. She invested in the stock after hearing the story. The stock sunk instead, and she lost US$150,000. It was a very painful lesson and she admitted that she still can't get over it until today because it was a lot of money. “The most important thing that it taught to me is actually going back to basics"
After that painful lesson, Anna went back to basics with her investing process. With her experience in the industry, Anna has definitely met a lot of people who also shared some mistakes with her. She may even have observed some of the things that they are doing that she views are not right. This is very basic. But time is a compulsory factor when accumulating wealth. Unfortunately, most people only come to realise this too late. By the time they do, they no longer have enough time to acquire or accumulate wealth. When you need to analyze everything but at the end of the day, you don't take actions, you end up missing the opportunity in the process. One of the examples she gave is with cryptocurrency. A lot of people don't understand what is blockchain technology; what is the technology behind it; and what gives it its price. But because it is going up, people end up buying them and then they get caught in it when the price tumbled. After learning all the lessons the hard way, Anna only buys stocks that she is familiar with for her own stock portfolio. Anna suggests that risk management is very important. 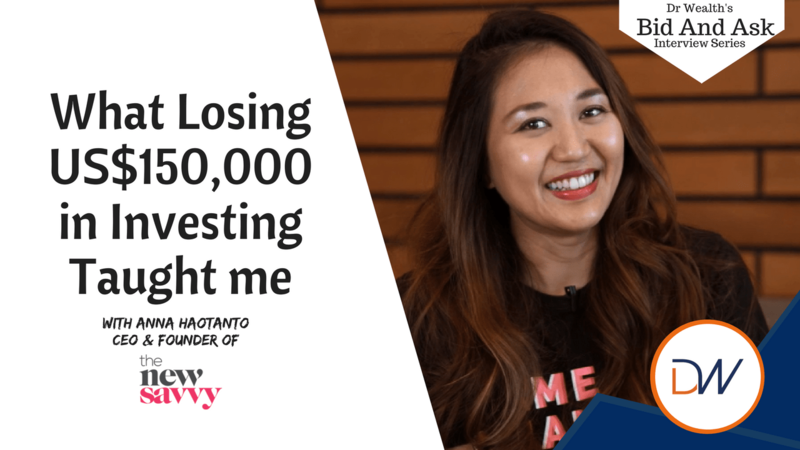 Instead of looking at the potential gains, or how much money other people are making, she constantly asks herself "how much money can I lose from this" instead. There have been studies that show women are actually better investors than men. Yet, there are still so few women in the industry. We asked Anna about her thoughts on this. However, she also shares that instead of focusing on the number of women in the industry, she is more focused on the number of women who are actually actively taking steps to be financially savvy in whichever life stages they are in. A reason she suspect for the gender discrepancy in finance, is that female investors are usually under served. There are almost no financial media that caters specifically to them and their needs. On top of that, growing up in an Asian society, most people still carry the mindset where men are supposed to be the breadwinner is ingrained. Hence, women are less motivated to control the finances. Also, she mentioned that finance can be a very dry and technical topic. Hence she started The New Savvy to create content that speaks to women, engages them and encourage them think differently about money. For example, they write about "instead of buying branded handbags, these are the stocks you can buy" which aims to get ladies to think about their spending. And ask themselves, “hey you know instead of me buying a six thousand dollar Chanel bag, maybe if I buy a stock these are the returns or losses that I can make”. Who Should Read The New Savvy? 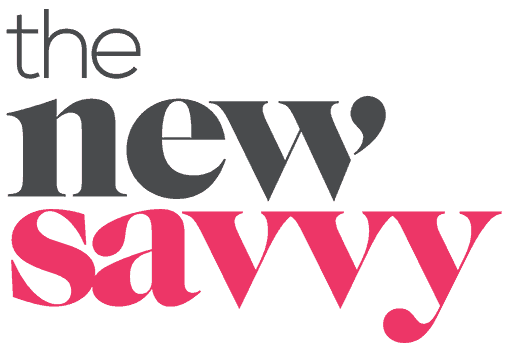 The New Savvy is geared towards female audience (about 70% of their readers are female). Nevertheless, it is also a great website that both men and women can enjoy. However, Anna notes that The New Savvy does explore interesting and unique topics that are suitable even for men. Tackling universal finance issues. They cover topics like property and insurance which can be suitable for both men and women. Tackling unique but urgent issues. An example would be their article on 'alimony in Singapore'. Providing the female's perspective on finance and investing. Anna remarked that men are actually curious about the female's point of view. For example, their article on 'When Women Earn More Than Men In a Marriage?' garnered significant interest from male readers. The interview with Anna Haotanto was very insightful. She shared valuable, insightful lessons derived from her personal experiences. And what she thinks any aspiring investor should start with. Do check out thenewsavvy.com via the resources below. And share your thoughts on our Bid and Ask interview with Anna via the comments below!